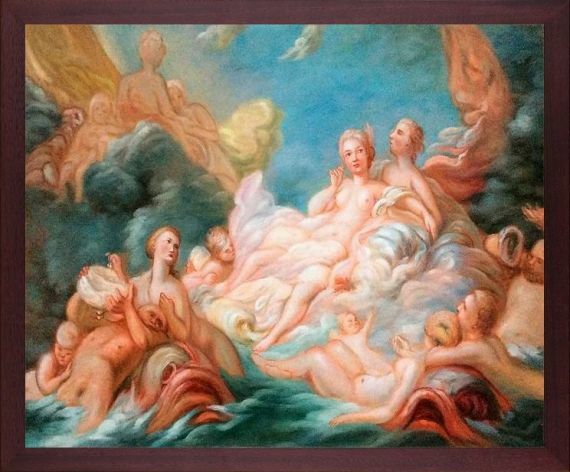 Hand painted oil reproduction of famous painting, The Birth of Venus, 1753-1755 by Jean Fragonard was originally painted in the mid-18th Century. Today it has been carefully recreated detail-by-detail, color-by-color to near perfection. 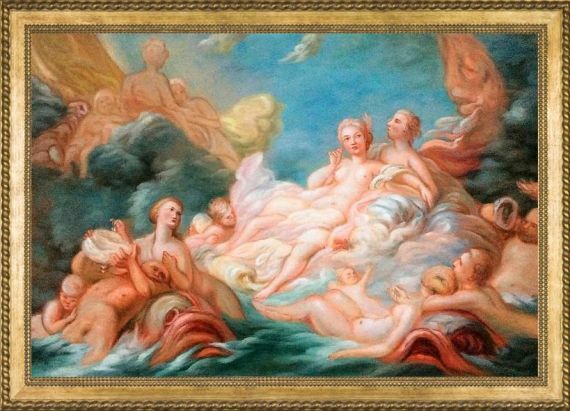 Jean Fragonard was a French painter and print maker whose late Rococo design was distinguished by remarkable exuberance and a flourish for the decadent. 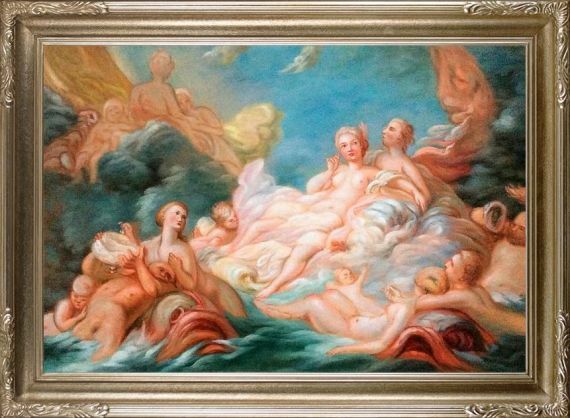 One of the most prolific artists, Fragonard produced more than 550 paintings, of which only five are dated. His most popular works show an atmosphere of intimacy and hidden eroticism. 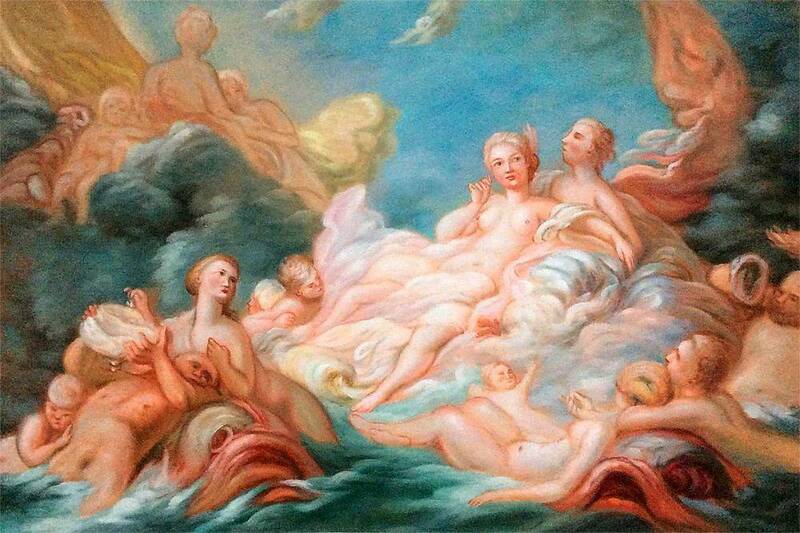 Color Palette for The Birth of Venus, 1753-1755 is empty.